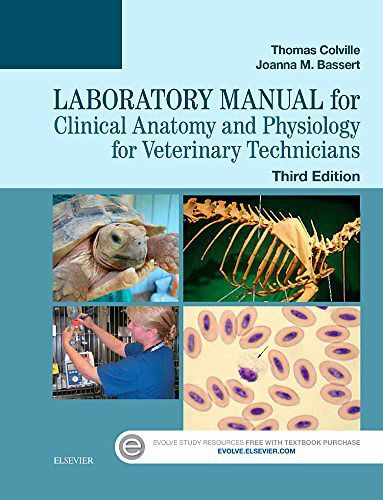 Learn to apply your A&P learning in the lab setting with Colville and Bassert'sLab Manual for Clinical Anatomy and Physiology for Veterinary Technicians, 3rdEdition . This practical laboratory resource features a variety of activities, such as crossword puzzles, , terminology exercises, illustration identification and labeling, case presentations, and more to help reinforce your understanding of veterinary anatomy and physiology. The lab manual also features vivid illustrations, lists of terms and structures to be identified, and step-by-step dissection guides to walk you through the dissection process.